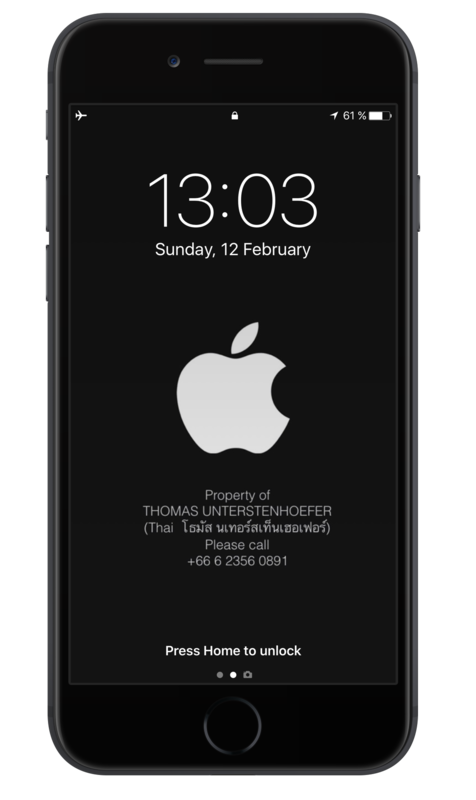 In case you lose your phone and you’re still lucky because an honest guy finds it he easily can contact you via this Lock Screen. You can create your own individual wallpaper with an image of your choice and e.g. Apple’s app KEYNOTE. Add the image and the text to a slide, take a screenshot and assign it as the wallpaper for your Lock Screen.